Students can re-experience some of Studio Ghibli’s works on the silver screen at a local theater. The Athena Grand will show one screening a month until November. 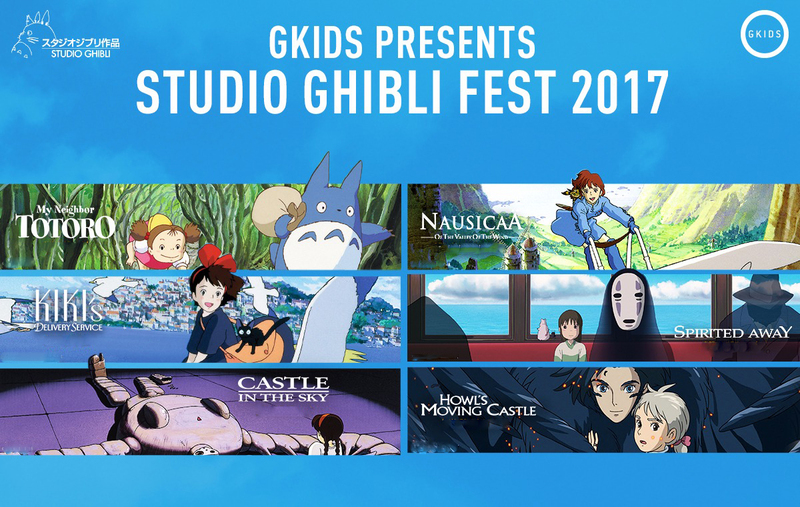 My Neighbor Totoro and Kiki’s Delivery Service have already been presented, but there’s still time to catch Castle in the Sky, Nausicaä of the Valley of the Wind, Spirited Away and Howl’s Moving Castle. Those six films were all directed by Hayao Miyazaki, award-winning filmmaker and co-founder of Studio Ghibli. Rick Frame, owner of the Athena Grand, said the theater pulled in 125 people for the screening of Kiki’s Delivery Service, consisting of mostly 16- to 30-year-olds and a small group of elderly people. He believes the showings will pull an even bigger crowd in the fall. “We can seat 200, and I imagine they’ll sell out,” he said. Stephen Archinal, a junior studying integrated media, said he thinks the showings are great because they’ll give Studio Ghibli films more exposure to western audiences. Frame said he thought his theater should show the movies because they have a cult following. Each screening will be the original Japanese version with English subtitles. Archinal said he admires different styles of animation. His sister was a big fan of Studio Ghibli and first introduced him to Spirited Away when he was about 8 years old. Mailé Nguyễn, a senior studying production design and technology and stage management, said their favorite Studio Ghibli film is Howl’s Moving Castle because the female lead was closer to their age at the time and they admire her personality. Archinal said Miyazaki uses more traditional techniques, and he doesn’t use CG on most of his major films. Most crews use those graphics to save time and money, but he doesn’t like the way it looks. Miyazaki also chooses to not begin the pre-production process with a script. Instead, he focuses on storyboards. “They have a certain attention to detail with things and just fluidity of their animation,” Archinal said. Nguyễn said what makes a Miyazaki film is “a juxtaposition of normal life and magical reality.” They also said the films’ antagonists usually believe they’re bringing justice to the town and can’t be viewed as “completely evil” because of it. Nguyễn said the underlying pro-environmentalism and anti-war themes are always apparent to them when they watch the films. The latent messages made them enjoy the movies even more. “In Howl’s Moving Castle, Miyazaki shows the devastation of a pointless war and highlights the fact that innocent people were getting hurt over a governmental dispute,” Nguyễn said in an email. Miyazaki has kept a pattern of using young females in his works because their first solution isn't to fight your opponents, Nguyễn said. Archinal said it was good to see more gender diversity in a time where male protagonists are dominating screens. He would definitely consider seeing one of the Studio Ghibli films in theaters once school starts. “It’s a different experience when you watch a movie in a theater with a bunch of other people,” he said.